As a pioneer of the Web, Mozilla unlocked the Web experience on the desktop with Firefox and we are doing it again in mobile. 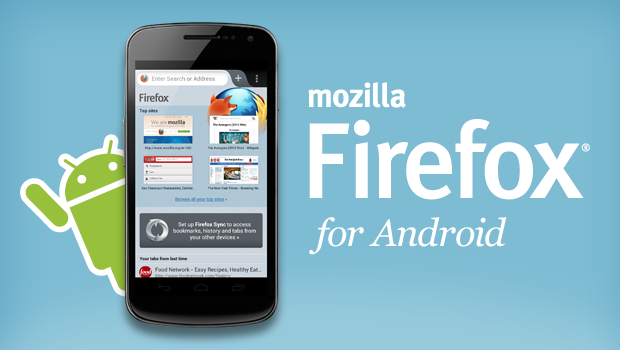 We’re proud to announce a new Firefox for Android is now available for download in the Google Play store. The new Firefox for Android is a snappy and dynamic upgrade to mobile browsing that makes it faster and easier to get where you want to go on the Web. We redesigned Firefox for Android to make it a screaming fast and personalized upgrade to mobile browsing that lets you take your Web experience everywhere you go. You’ll notice dramatic performance improvements that make Firefox on your Android phone super fast with everything from startup and page load times to panning and zooming and Web app performance when you just want to play Mozilla’s BrowserQuest game with your friends. 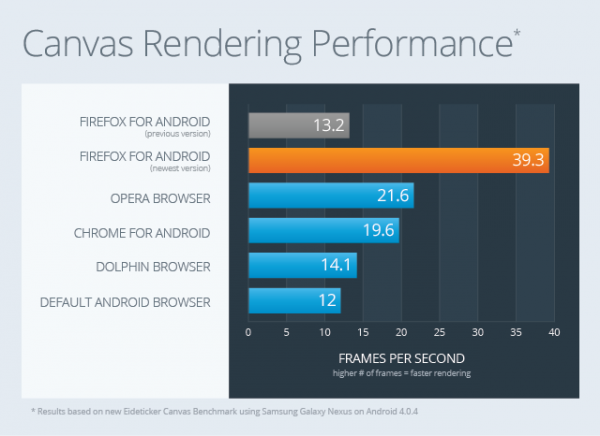 Firefox for Android is significantly faster than the stock browser that ships on Android phones according to the leading industry benchmarks, such as Sunspider. In addition, we developed a new benchmark, called Eideticker, that measures the actual user Web experience and we built Firefox for Android to it, yielding an experience that is two times faster than the stock browser. Firefox for Android has a fresh, streamlined look with a personalized start page that saves you time getting where you want to go on the Web. 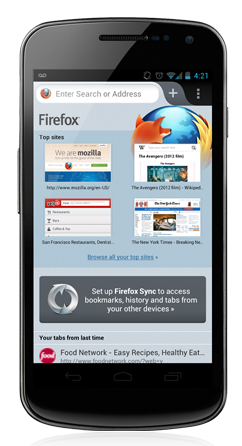 The new Awesome Screen powered by Firefox Sync delivers all your browsing history, bookmarks, passwords and form data to your Android phone. We also optimized your favorite features like tabbed browsing, Firefox Sync and Firefox Add-ons to deliver the best mobile browsing experience possible. Firefox for Android supports Flash so you can watch videos, play games and interact with more Web content on your Android phone. 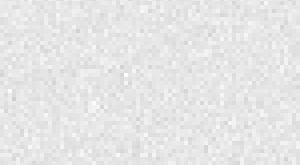 Based on the same open technology platform as the desktop version of Firefox, Firefox for Android offers the highest level of privacy and security features in mobile browsing. Firefox respects your privacy and protects your security with features like Do Not Track, Master Password, HTTP Strict Transport Security and more. You can play Mozilla’s HTML5 BrowserQuest multi-player role playing game across desktop and mobile Web experiences to see just how powerful, fast and fun the Web can be.